We are honoured to have been a part of the vibrant city of Lloydminster and surrounding communities for more than 30 years. We take pride in the level of service and the quality of dentures we have provided over the years to residents of both Saskatchewan and Alberta. We offer everything from full and partial dentures to same-day denture relines and repairs. For your free denture consultation, give us a call at Bernard Denture Clinic in Lloydminster. If you have any questions about our services, feel free to phone us, email us or contact us by filling out our online form. Bernard Denture Clinic has plenty of free parking. We are wheelchair accessible. 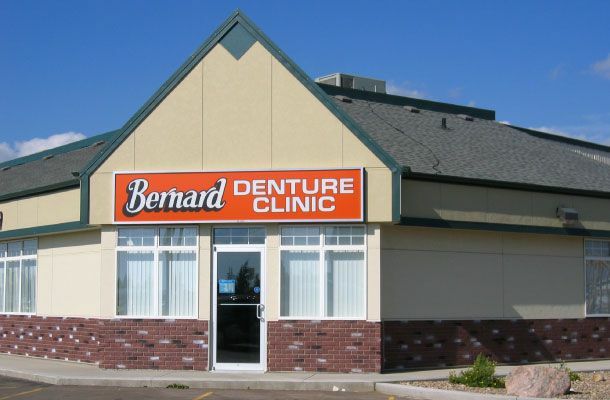 Bernard Denture Clinic is located on Highway 17 South (50th Ave.), across from Home Hardware.